Lisa Laporte offers advice on how companies can become more philanthropic in their local communities. One of the most effective ways that a small business can compete with larger corporation is through engaging the local community. By garnering the support of the people in your community, you can drive customers to your business and cultivate a loyal client base; small businesses survive thanks to the community around them. 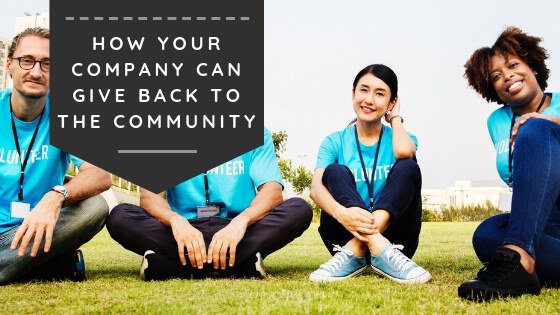 Giving back to the community and getting more involved also helps strengthen the area many of your employees come from, thus helping them and the people close to them. Making a positive difference in the local community is the right thing to do and a great way for companies to connect with people. Here are a few easy ways that local business owners can give back to their communities. By getting your name on a youth team jersey or at a sporting venue, you can demonstrate your commitment to supporting the children in your community while also getting your name out in highly visible ways. Placing an advertisement in a high school game program is also a cost-effective way to generate publicity within your target market. Many communities offer residents and businesses the opportunity to purchase bricks for new civic establishments in an effort to raise money and generate support. By using your company name to adopt a brick, you will be leaving a lasting legacy of your business and its commitment to progress within the local community, while also helping the community to literally build its future. One of the latest trends in corporate philanthropy is to give employees a set amount of time off each year to volunteer within the community. By encouraging this practice, you are sending the message that your business values the people and causes in its local area. You’ll also have happier employees who are happy they can do something good for a cause they’re passionate about while having their employer’s support. Savvy small business owners understand the importance of supporting other local companies. By networking with non-competing companies, you can build a strong support system and reinforce that there is more success in numbers. Local business owners working together and harnessing resources for a common goal can help overcome the challenges faced by smaller companies. Sponsoring a local community event is a great way to show support for your area while also getting the opportunity to market your company to key demographics. For example, a running store would find great success in sponsoring a local race through signs or even providing rewards or items for participants.